ST. GEORGE – For more than 26 years, Mary Palley, a retired attorney and passionate advocate for victims of domestic and sexual violence, worked as a board member of the Logan-based nonprofit organization Citizens Against Physical and Sexual Abuse. However, Palley would meet the same tragic ending over the weekend which she worked tirelessly to help prevent for others. 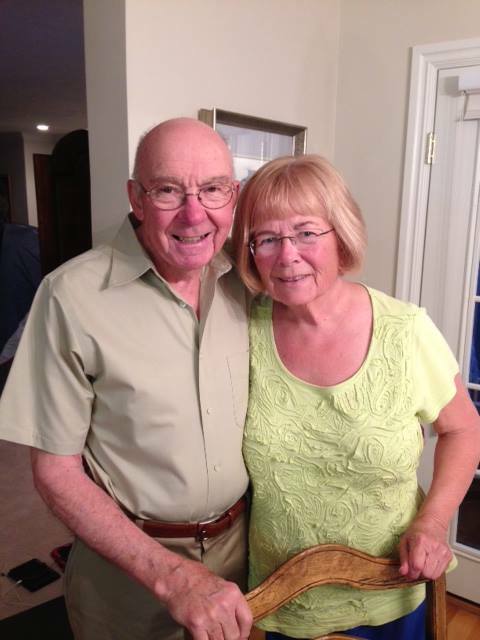 On Friday, 73-year-old Palley and her husband, Dell Johnson, 82, were found dead inside their Logan home from an apparent murder-suicide. Investigators said they believe Johnson shot and killed his wife and then killed himself. As an attorney, Palley provided free legal advocacy to survivors of domestic and sexual violence, working to promote safety as she helped survivors navigate the court process and obtain protective orders, according to a media statement issued Saturday by Citizens Against Physical and Sexual Abuse. Palley worked with Citizens Against Physical and Sexual Abuse to develop and fund transitional housing — dedicated in name to her grandchildren — to ensure survivors and their children have access to safety and supportive services, according to the statement. In memory of her parents, aunts and uncles, Palley established the Flynn Endowed Scholarship, a scholarship awarded to undergraduate female students who are going back to college. This tragedy has been reported as a murder-suicide, which is a form of domestic violence or intimate partner violence. Domestic violence-related homicides account for at least 42 percent of all adult homicides in Utah. According to the Utah Domestic Violence Coalition, more than a third of Utah women who experience intimate partner violence are age 55 and up. There is approximately one domestic violence-related homicide each month in Utah, according to the coalition. One-third of domestic violence perpetrators committed suicide after committing the homicide. Almost 12 percent of adult suicides are domestic violence-related, according to the coalition’s website. There are approximately three domestic violence-related suicides every month in Utah. The Utah Domestic Violence Coalition reminds the communities that free, confidential help is available 24/7 by calling 1-800-897-LINK (5465). Words cannot say anything to ease the pain of this tragedy. It’s tragic, very tragic. Condolences to the families. How sad! So are the numbers that are shown there. But I have to wonder just how many murder/suicide crimes are actually committed out of both love and desperation. When you have been married to someone for many decades, and they become terminally ill, and in tremendous pain, pain that cannot be relieved, it is a terrible burden. Morally, I know that both murder and suicide are wrong. But my heart goes out to folks who go through the scenario that I described, and feel they have run out of options. there is always another option. drop your loved one off at a fire station then. srrsly. how selfish to just decide to bring someones life to an end like this. its a selfish act. she deserved a quiet peaceful ending to her life. hope this isn’t some mad killer making it look this way. i just don’t want it to be the case. some serious heartfelt love sent to the family. If they had more common-sense laws about murder, these things wouldn’t happen.